Gift For Couple. 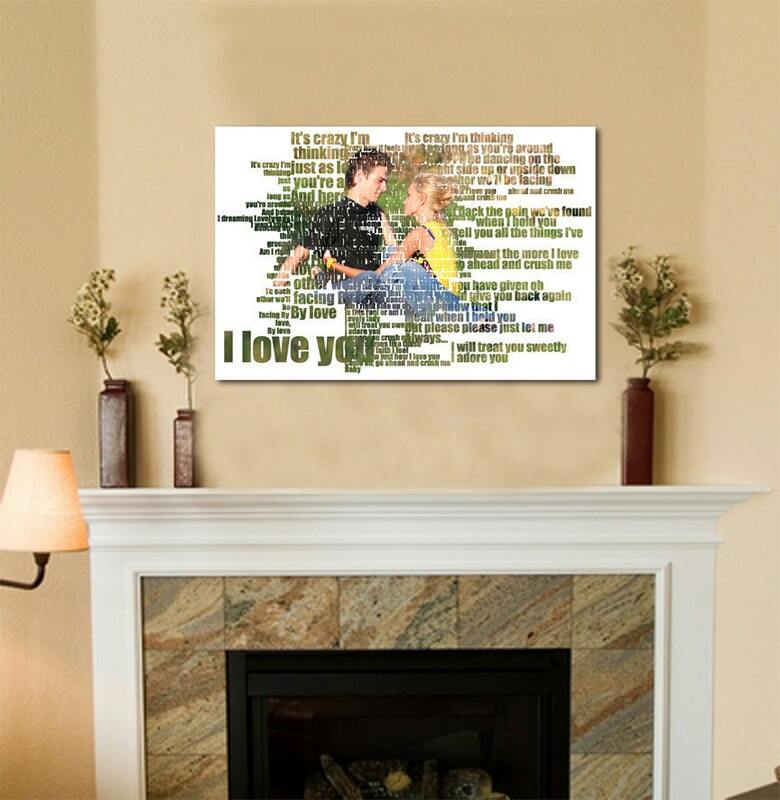 Personalized word art from YOUR photograph and YOUR words. 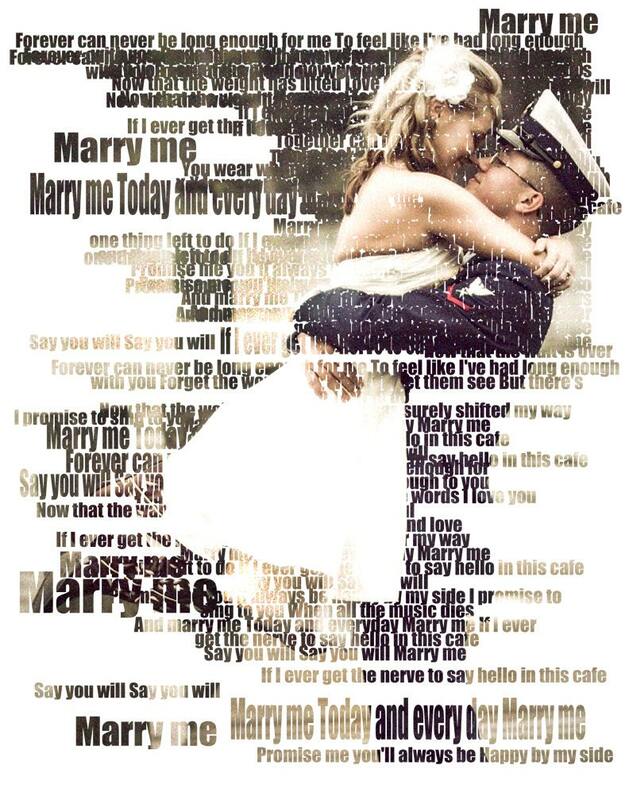 Use First Dance Lyrics, Wedding Vows, poems or personal sayings. 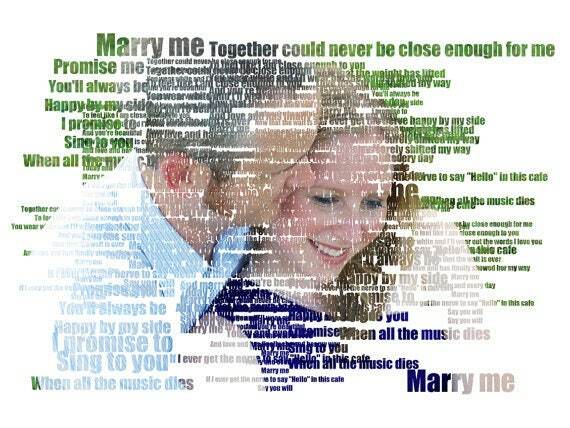 I will turn YOUR photo into a piece of art using words to create the image that you can showcase on your wall! I will print your image on high quality canvas and then stretch it around real wood supports. Your image will wrap around the edge so there's no need for a frame. Just take it out of the box and hang it on the wall!